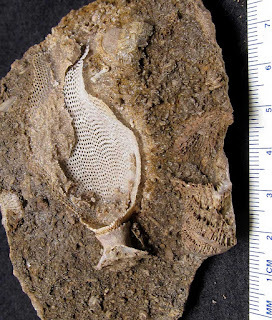 Bryozoan fossils are pretty common but in general they are found in fragments or just large mats on limestone matrix. 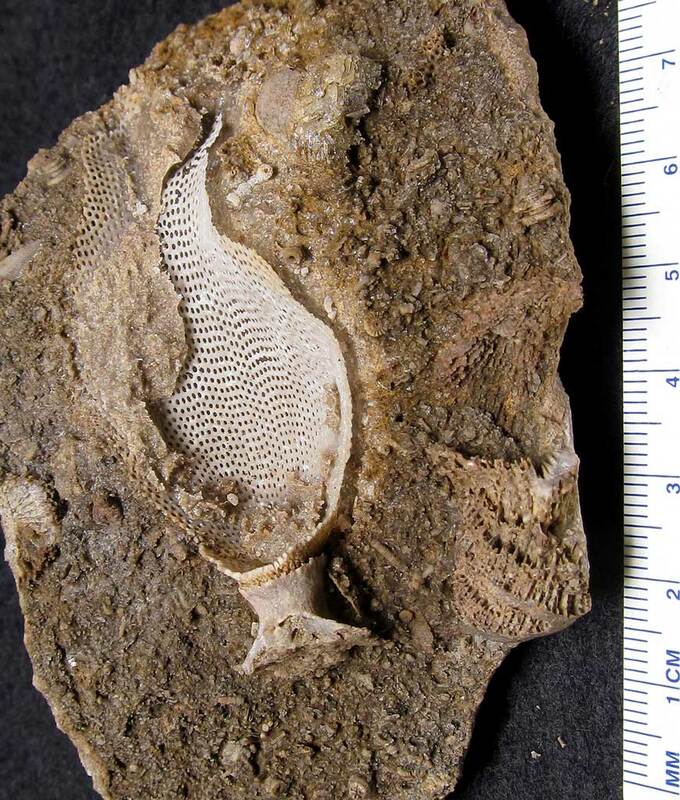 This fossil find is quite nice in that this bryozoan has part of its holdfast and three-dimensional matrix where the little bryozoa lived. It appears to be a Polypora shumardi. The fossil was found the in Beechwood Limestone of Clark County, Indiana USA. These little creatures lived during the Devonian Period. My cousin Kenny provided this image and was able to extract it out more by using a slow drip acid preparation technique.